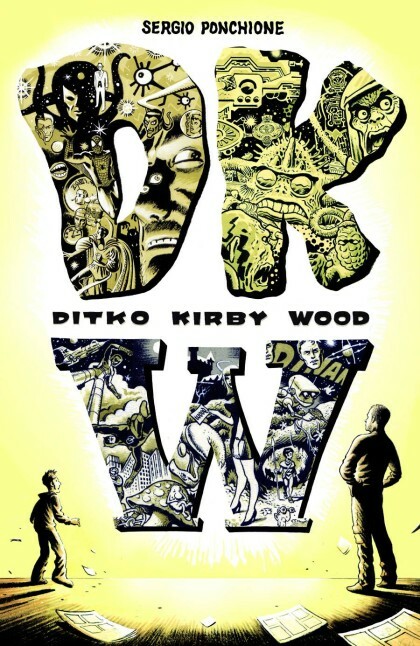 JUSTIN’S PICK :: DKW DITKO KIRBY WOOD ONE SHOT: Hello, Staff Picks, how have you been? Sorry, I’ve been a real jerk. I haven’t called, I didn’t write. HeroesCon had us all hopping…I hope you can find it in your heart to forgive me. Maybe if I offer you this awesome Fantagraphics one shot? Would that help? Cartoonist Sergio Ponchione draws three different stories in the signature styles of those titular titans Steve, Jack, and Wally. It’s a gorgeously designed book, as well, tastefully toned and wrapped in a masterful cover. I know I’ve neglected you, Staff Picks, but can’t we put that all behind us now, and just be together again? Aw, you’re the best. I knew you’d understand.